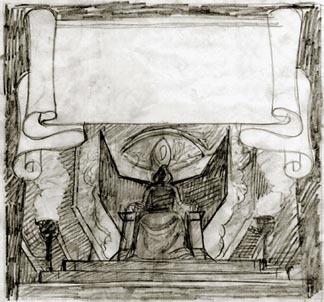 Pencil Sketch on Tracing Vellum from The uncompleted 1979 Tolkien Calendar. Tim Hildebrandt passed away in June of 2006. This sketch was not signed by Greg and Tim prior to Tim’s death. Therefore this original art is available signed only by Greg Hildebrandt.